which pop up everywhere. 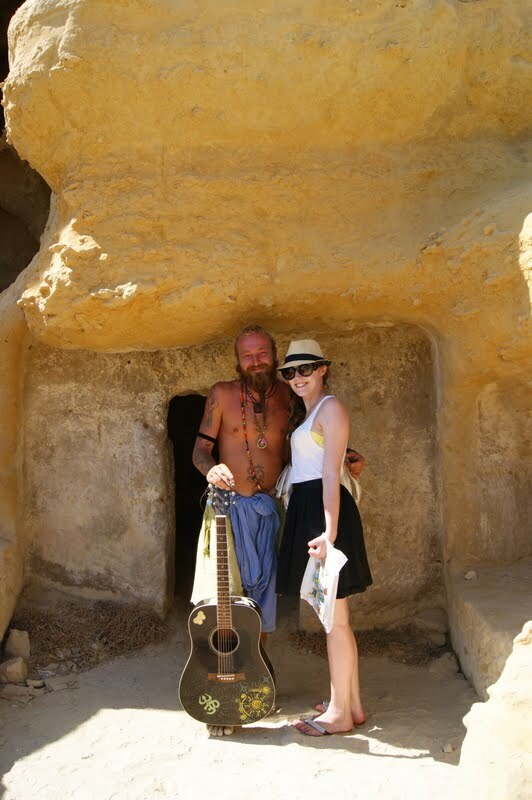 If you're lucky enough, you may still find a hippie hidden between the caves, playing catchy tunes on his guitar. 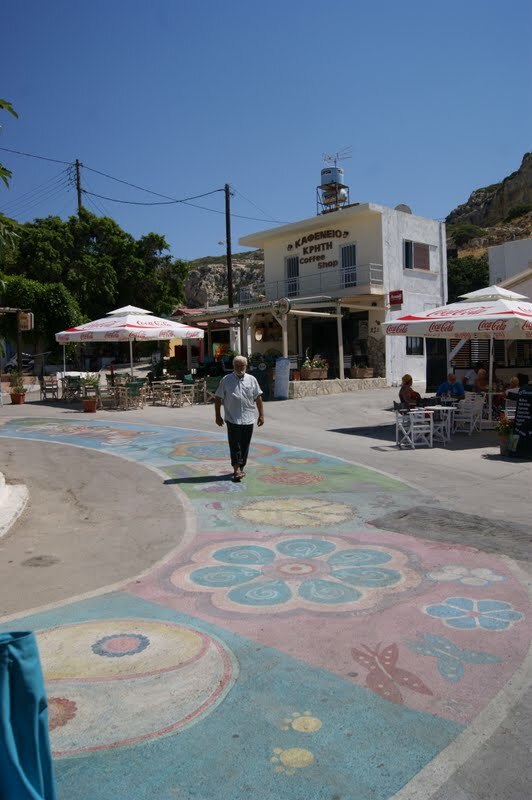 Just a couple of weeks before our stay in Matala, the city organized a reunion for all the hippies who used to live there. I'm so bummed to have missed it, it would have been so cool to be there! Walking around the small city centre, you can really feel the peace and quiet and the laid back atmosphere hanging around. 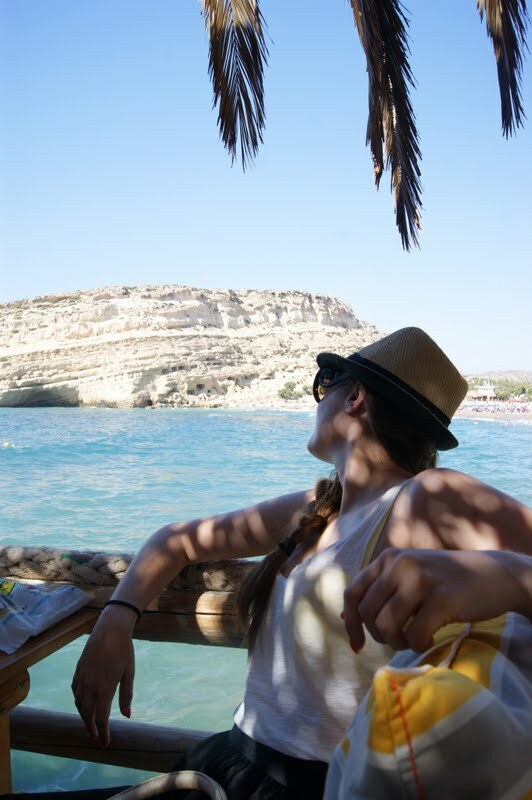 With also cosy little restaurants, offering you an amazing view, and the beautiful sea and beach, I would recommend Matala to everyone! P.S. : Picture overload comin' up! P.P.S: Since Blogger isn't accepting my pictures from Photobucket for some reason, you'll have to do with the crappy Blogger-quality pictures. Sorry for that! I've been having so many problems with Blogger lately, I'm thinking to transfer to Wordpress. Which platform do you prefer? Beautiful pictures! Haha and I love the hippy. Never been to the city before, but I love to go there some day, it looks truely amazing. Dit zijn echt mooie foto's! & check out my blog for an amazing giveaway by Pomegranate Jewelry. Wauw, dat wil ook eens gaan bezoeken! loove your outfit :) en echt leuke foto's! 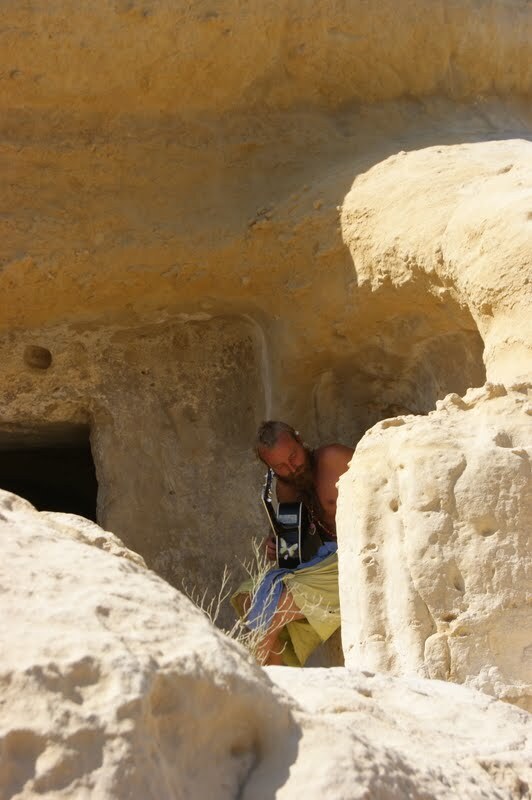 Jammer dat photobucket niet werkt voor jou, ik gebruik blogger en zet mijn foto's op dropbox, echt heel gemakkelijk en heb nog nooit problemen gehad..! Sounds like your having a fab time. I would recommend blogger. Had wordpress before, but it is different from blogger. Looks like a wondeful place!